Sales price $443,336 – Ask for details! This home is the highly sought after Palacio floor plan. 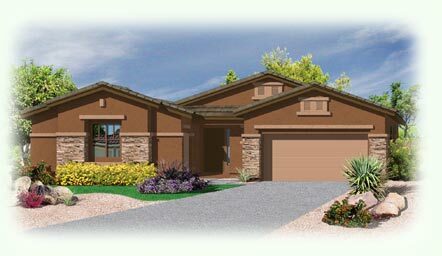 This new build home will offer 3 bedrooms plus den, 3 bath, and a 3 car garage. The lucky buyer will appreciate the marvelous mountain views. There is a large beautiful open concept kitchen/great room combination with an entertainment niche. The kitchen features a walk-in pantry, granite island and countertops, upgraded stainless steel appliances, and a gas cook-top with a double oven. The master bath offers a wonderful snail shower and linen closet upgrade. You will sleep soundly in this house knowing your family is protected with a fire sprinkler system. Don’t miss out on this stunning property!